If you are keen to learn more about health and wellness, then the perfect opportunity is to come along to one of our many free talks about Kinesiology around the country. They take place in various locations, for approximately 60-90 minutes. As part of our 2018 HealthRoadShow, we have a number of online and offline events. The first of these special events is a selection of free talks about Kinesiology from our practitioners. They will be sharing Systematic Kinesiology information and about their clinic practice. Systematic Kinesiology is a specific method of analysing your body to identify the underlying causes of functional health problems. When a muscle is found to test weak, then we look at what will restore normal function to these muscles and their related organs. Systematic Kinesiology works with the body’s natural healing ability, and aids your recovery in in a completely personalised way. What we find is that while a health issue, such as migraines, could be due to structural imbalances in the neck, for another person it may have it’s cause in toxity in the gut or other organ, or for another due to emotional stress. The fact is, no one modality can fix everything. Our whole person approach combines Emotional, Chemical, Physical and Energetic techniques, which also helps to join the dots and identify the root cause for you. Thursday 20th September from 6.30pm to 9pm, taking place in Charleville. 3. Have your questions answered about the Balanced Health Course. Want to know how to get on the guest list? Simple. Just email me by return we will add you to the list. This really helps us to plan and allow us to have enough chairs! Thursday 20th September from 6.30pm to 9pm, taking place in Charleville. We’ll confirm the venue via email. Will we see you then? love to learn new things! See below our current list of talks about Kinesiology you can attend. Simply contact the person giving the talk to secure your FREE PLACE. Since it helps us to plan the right number of chairs, please do let us know if you’re coming. 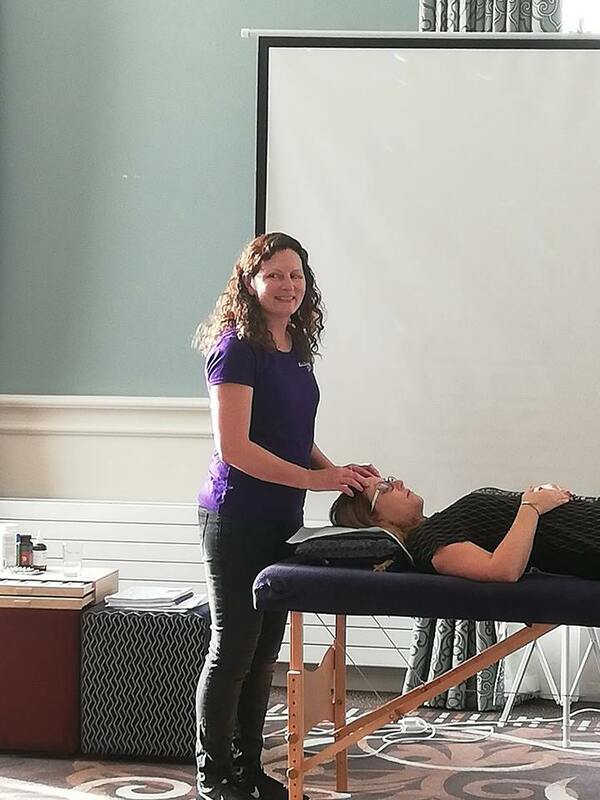 Common reasons to see a practitioner is a combination of low energy, digestive problems, stress, anxiety, back pain, low mood, skin problems, learning difficulties, dyslexia, headaches, constipation, thyroid, adrenal issues, and lots lots more. This whole system approach can find imbalances quickly. It can also identify what’s a priority to fix, what’s a compensation and help to understand why you feel like you feel. We work with the body, it’s natural system of reflexes, identify lifestyle changes, and when combined together, gives the body everything it needs to recover faster. Muscle testing helps to identify what your body needs. It does not treat disease, but sets your body on the road to better health. How do we restore normal function? We look at all types of stress. A mistake we make is that we associate stress as mental/emotional only. But the wrong food can stress the body, structural imbalances, and many other hidden factors can stress the body in the same way. Since these imbalances result in changes to how the muscles function, you might recognise that as tightness in areas, and weakness in others. Muscle testing, and our whole person approach to health, helps the skilled practitioner to interpret the results of the tests from your body. It is the body’s nature to maintain health and wellbeing. The body is on our side and is always in a state of adaptation – responding to our daily activities, such as diet, movement, thoughts. However, when stresses become overwhelming, or we’re consciously unaware of hidden stresses, the body is often prevented from it’s natural state of balance. Working with the body we are able to access more information giving clarity as to what to do. Your body has all the information and we can access it by muscle testing.